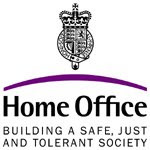 It has come to light this week that the British Home Office is currently considering a proposal that would require all British ISPs and telecoms companies to make available billions of records of customer emails, internet usage, VOIP calls, and text messages. According to Reuters, if passed, the Communications Data Bill would allow police and security services access to this information, with court approval. The aim is to "help security forces in the fight against crime and terrorism." Currently, all phone calls and text messages within the EU are kept for 12 months as part of an EU anti-terrorism ruling. "The changes to the way we communicate, due particularly to the Internet revolution, will increasingly undermine our current capabilities to obtain communications data and use it to protect the public", said a statement from The Home Office. "To ensure that our public authorities and law enforcement agencies can continue to use this valuable tool, the government is planning to bring forward the Communications Data Bill." The draft bill is expected to be released later in the year, but the plan has yet to be discussed by ministers. Nokia to choose function over form? Perhaps the best desk ever?